I’m back! Sorry it took a while, but had a really busy couple of months with our newborn son. This new recipe is a tribute to my grandmother. I grew up with this sauce, she made it every week. I remember the Sunday lunch with fresh made tagliatelle or gnocchi. Hmmm the memories. My grandmother made this with tomato passata from a can. But last September i made some passata myself with fresh San Marzano tomatoes. Of course i’ll be using the fresh passata. Lets start making the sauce… First you take a big pot and put it on high heat. Put in a good amount of olive oil and bacon fat, your clove of garlic and your dried chili. Let this simmer for a minute until the oil is really hot (make sure you don’t burn your garlic!). Now it’s time to put in your meat. 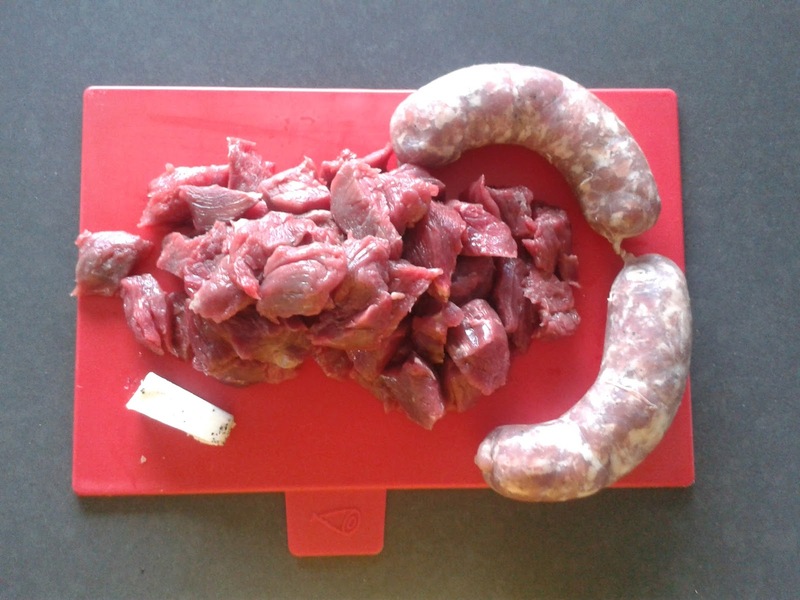 Depending on the size of your pot, you can do it all at once, or a few pieces of meat at a time. 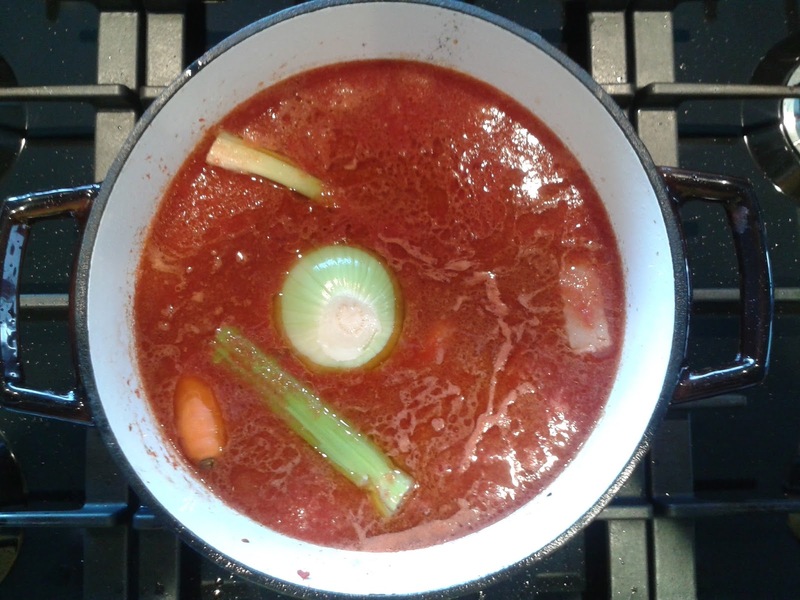 When you see that your meat is nicely colored, you add your passata, carrots, celery and onion. Let this simmer for at least 2 hours, season it with peper and salt and your sauce is ready to be served! What i really like with this sauce is some fresh made tagliatelle and a good glass of red wine… Enjoy!